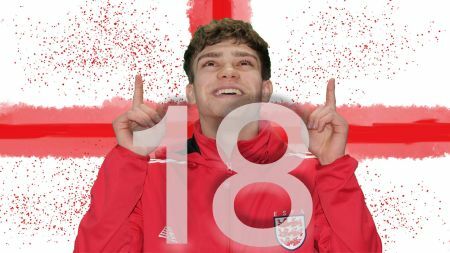 Yesterday we introduced you to the defenders and goalkeepers in our Under 18 Boys England squad and today we are going to pick up where we left off. 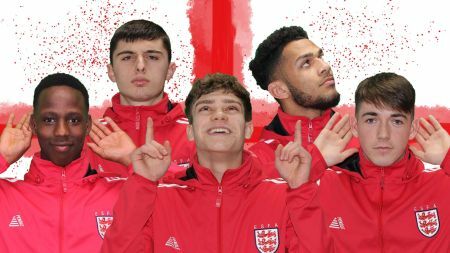 With today marking the half way point of National Schools Football Week, we’re looking to the boys that control the middle of the park…let’s meet the midfielders! Kyle is a man than can play in any part of the pitch from centre midfield to left back or striker. 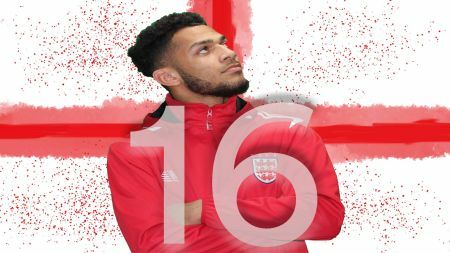 While playing for Oakland College and Bedfordshire County, Kyle represents his school as a 6th year prefect as well. His versatility and tireless application saw him stand out to coaches during the trials process. K-splash (quite the nickname, we think you’ll agree!) is an Arsenal fan and sees Thierry Henry as his favourite player for his football intelligence and his style of play. He also spoke about his admiration for Cyril Regis, one of the first prominent black footballers, for his passion for football and his combination of physical play and supreme football ability. Kyle also holds Nigerian and Irish nationalities and is most looking forward to the game against the Republic of Ireland due to his Irish roots. Ryan represents Sparsholt College and Hampshire County when not playing for the ESFA. 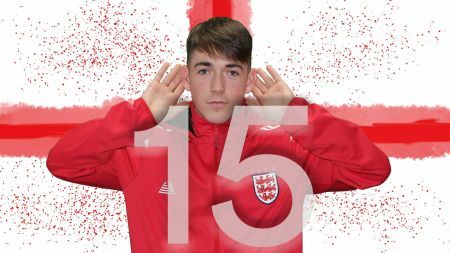 Ryan is known to his teammates as Rhyno and is most looking forward to the game against the Republic of Ireland, as it is taking place at Luton Town FC. Ryan grew up playing football with his brother and watching Chelsea play. The two players Ryan told us he admired most were Iniesta and Ian Wright, for their technical ability and understanding of football. When we asked Ryan if there was anything he thought used to be really cool but isn’t any more, he said chinos…which I think we can all agree with. Emmanuel plays for Trafford College and Greater Manchester, playing on either the left or right wing. Manny grew up playing football in the park with his friends, which he credits with developing his attacking skills. He admires Lionel Messi for his entertaining style of football and sublime technical ability. In the world of football, he also admires Ronaldo and notes Will Smith outside of sport, as role models, due to their charity work and desire to help others. 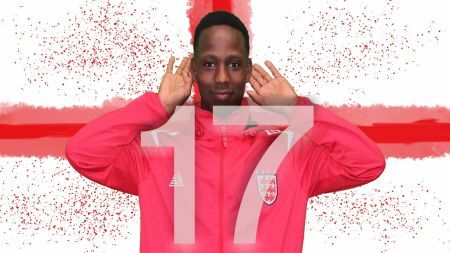 Eman – as he’s nicknamed – also has Nigerian and Irish nationalities and is most looking forward to the Northern Ireland international. Robert plays for Hove Park Sixth Form and Sussex as a central midfielder, with terrific all round football ability. 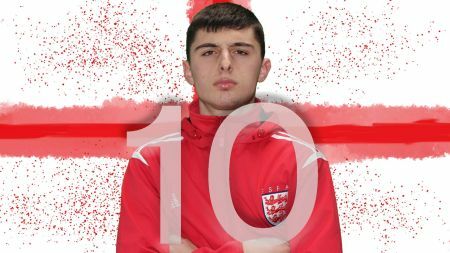 As well as being a keen footballer, Rob is also a keen futsal and basketball player and a very good 100 meter sprinter. Rob is an Arsenal supporter and idolises Christiano Ronaldo for his hard work and desire on the pitch combined with his charitable work off the pitch. Outside of football he looks up to Dwayne “The Rock” Johnson, for his charisma, charm and hard work. Rob also holds Albanian nationality and is looking forward to the match against Northern Ireland at the beginning of April. Cieran is a talented attacking midfielder or left winger who represents South Tyneside College and Durham County to an impressive level. A Manchester United fan, who was introduced to football by his father, he has a clear ambition to play and watch excellent football. He lists Lionel Messi and Paul Pogba as two of his footballing idols. He particularly emphasised the way in which both players looked to utilise the ball to the best of their ability and to always looks to push forward and attack. When not on the football pitch Cieran is a keen cricketer and the discipline of cricket is something that he brings to all aspects of his time with the ESFA.